The solenoid is the electromagnetic component of the valve, and it includes a coil, core, and enclosure. Included in this are the ports which alternate between open and closed so that pressure can be applied accordingly. This function is controlled by an actuator or cylinder. 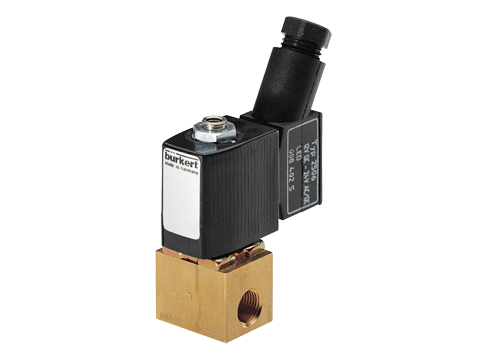 Manufacturers sell 3 way solenoid valves in various configurations, the three most common of which are Normally Closed (NC), Normally Open (NO), and Universal. Contained inside 3 way solenoid valves is a movable armature, which is capped by fluid sealing parts on either end. These parts include a ring close to one seal to contain fluid, and a spring to the right. While the solenoid is de-energized, fluid passes through the sealing ring from one port to another. It is able to do this, in part, due to a hole in the ring that is lined up with a bore. When the solenoid is energized, the armature moves, stopping the flow of fluid through one point, and opening a third port for passage. Another component to 3 way solenoid valves is a rolling diaphragm seal that serves to ensure fluid does not unintentionally pass into the wrong port. One port is always open, allowing for control over the direction of flow. This particular feature of 3 way solenoid valves makes a good fit for use with tools and equipment like hydraulic cylinders. In NC 3 way solenoid valves, de-energizing causes the pressure port to close and the exhaust port to open. When energized, the result is the opposite. In NO valves, when energized, the pressure port closes, and when de-energized, the exhaust port closes. Universal solenoid valves can operate either way. Three-way solenoid valves are used in a variety of industries that utilize process equipment, as well as those that build and maintain transportation infrastructures and vehicles. 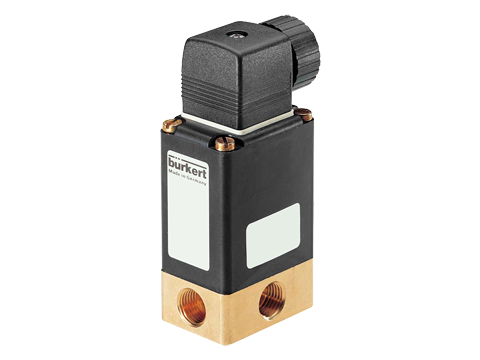 Additionally, 3 way solenoid valves are used in medical and energy facilities. The valves are versatile enough to connect to pressure controls, gauges, and electrical equipment. 3 Way Solenoid Valves A 3 way solenoid valve is a valve with three connections for pipes. Additionally, it has two ports through which liquid or gas can flow.